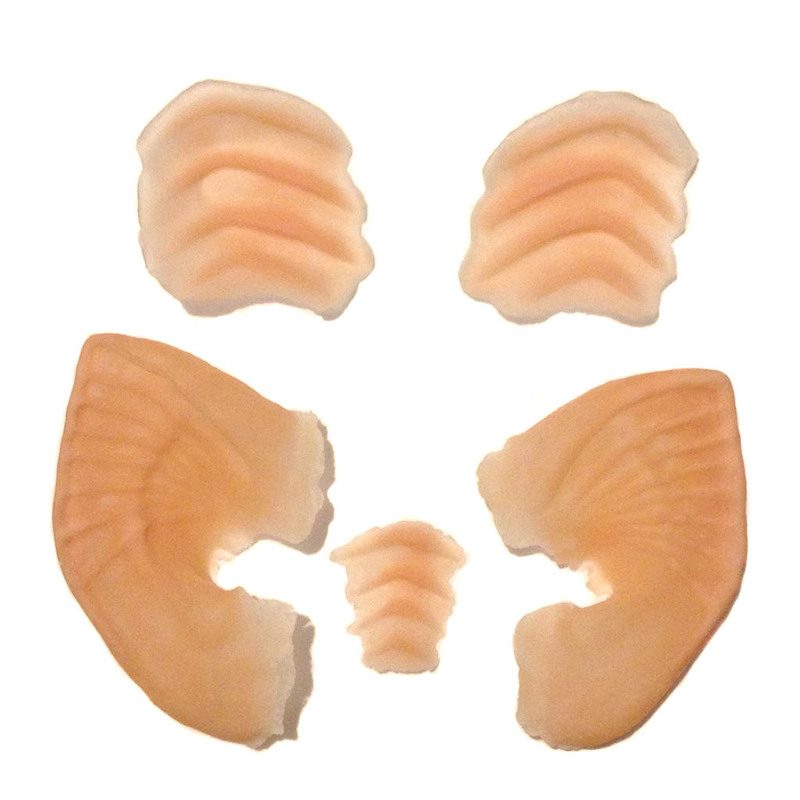 This 5 Piece latex prosthetic set is a great addition for an Alien or Mermaid Costume, or for your Sci-fi or Fantasy Cosplay (eg. 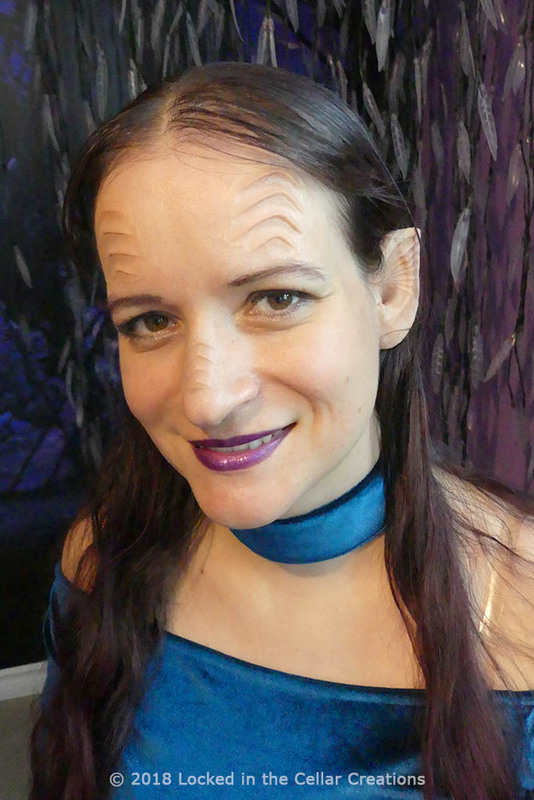 Alara Kitan from The Orville). 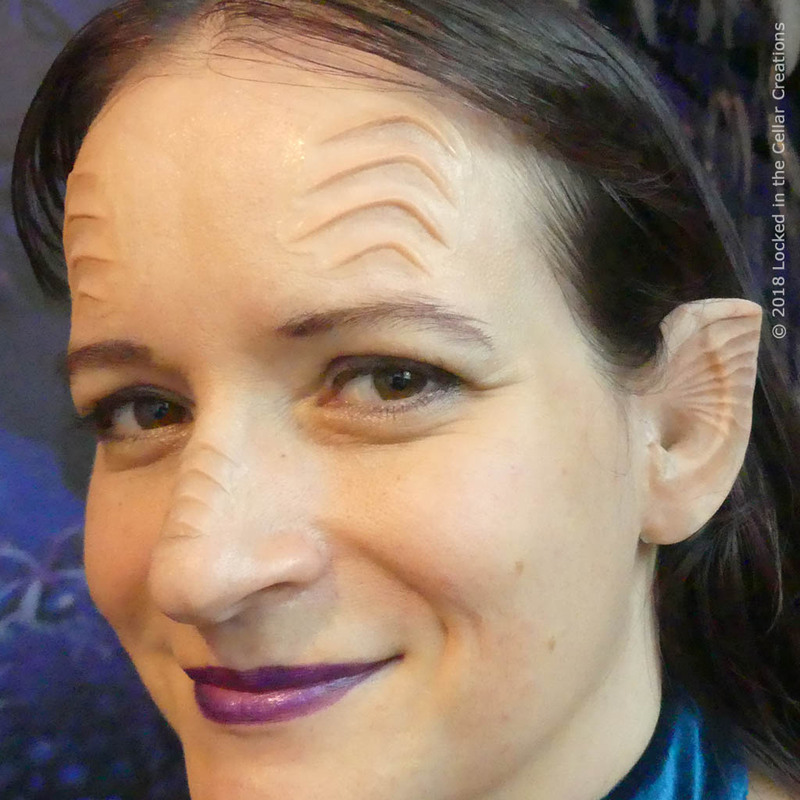 Attract everyone’s attention with the intricately designed ears and matching forehead and nose ridges or our Alien Ridges Prosthetic Set. 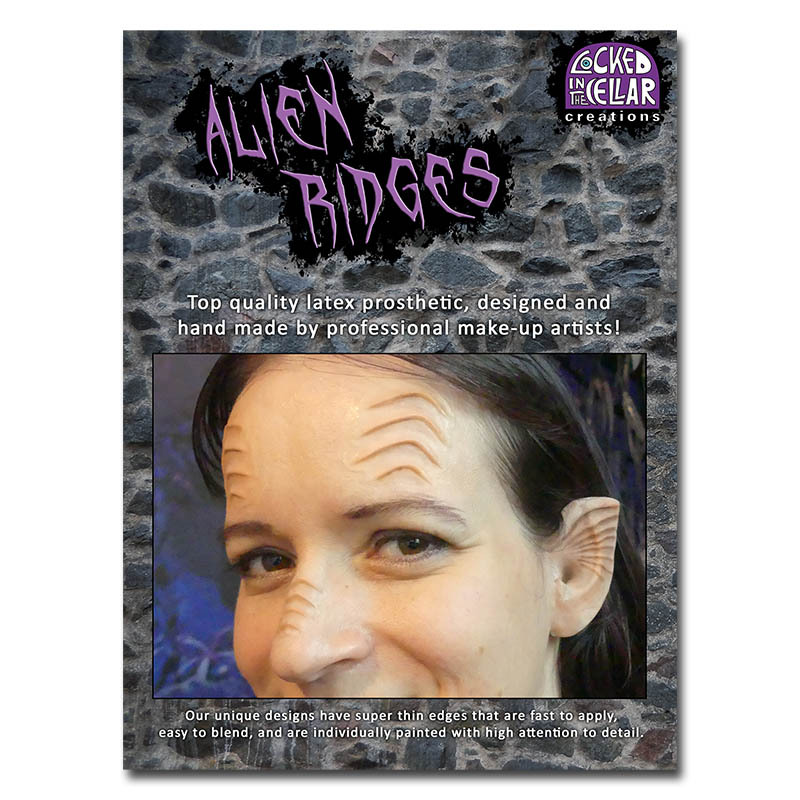 You will look great wearing them as a stand alone Alien Make-up. You can also use the sea shell inspired ears to achieve a unique Mermaid look. 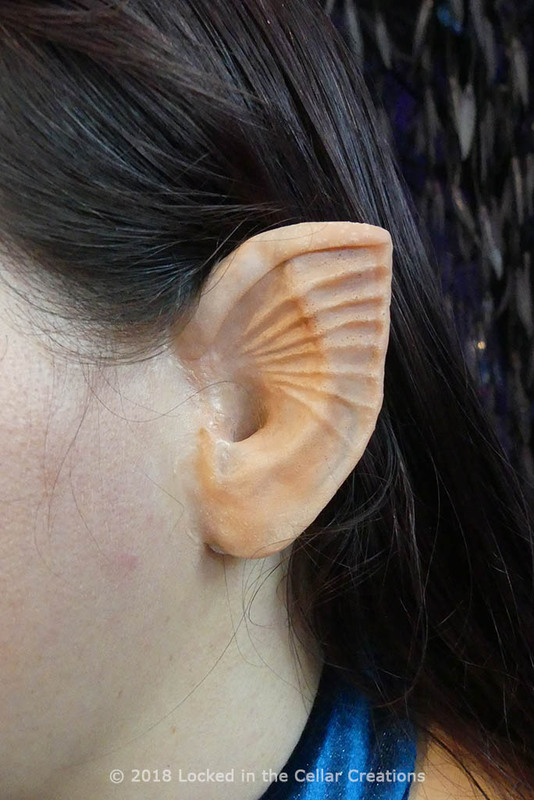 We designed this set to fit comfortably on anyone with small to medium sized ears. The nose and forehead pieces will fit anyone, and give it that distinct profile that is hard to achieve with shading alone. If you wear glasses, you can put them back on after application is completed. The nose prosthetic is so small that it won’t get in the way. 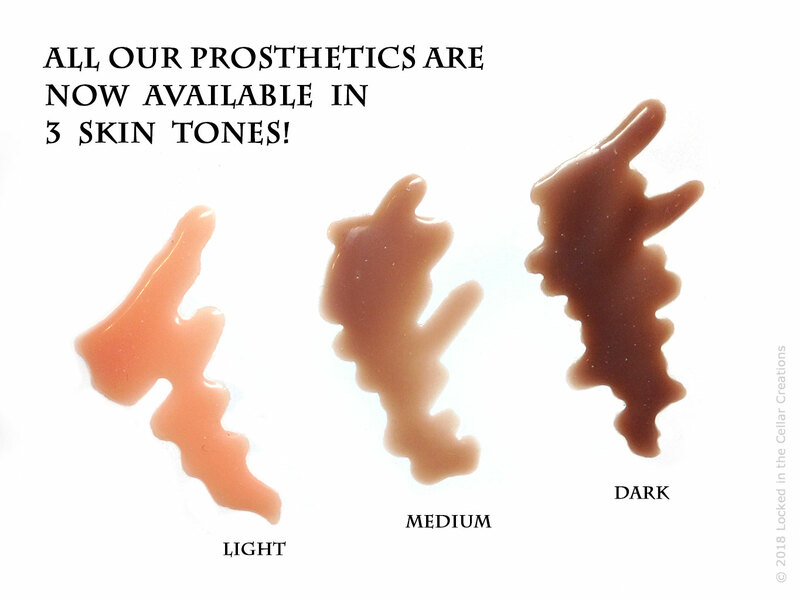 We craft our prosthetics out of tinted, flexible latex, in the skin tone of your choice (light, medium or dark). They have super thin, edges that go translucent, for easy blending. We leave them unpainted, so you can apply shading/colouring to create the exact effect you’re going for. – Liquid latex and skin safe adhesive are required for application. NOT included.